The technique on the right of Talhoffer's Tafel 172 has given rise to a certain amount of speculation as to what exactly the technique consists of, and why the technique would be preferred over the simple stab shown on the left. 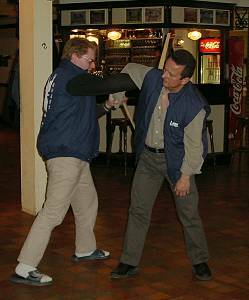 The following is our interpretation of the technique. 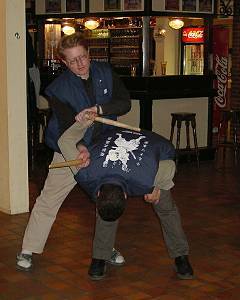 In this sequence we experimented with the suggestion that the technique is performed when the return thrust is deflected to the left. 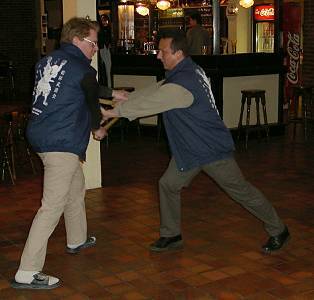 The technique is not carried to completion in the pictures (as we didn't want to spook the other patrons of the bar too much) but in our interpretation the defender would step to his right, throwing the attacker forward. 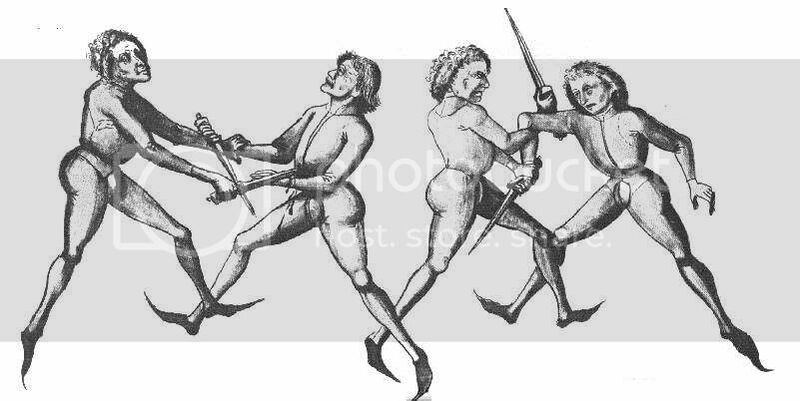 The attack in this instance was an upward stab rather than the downward stab described by Talhoffer (we were experimenting).